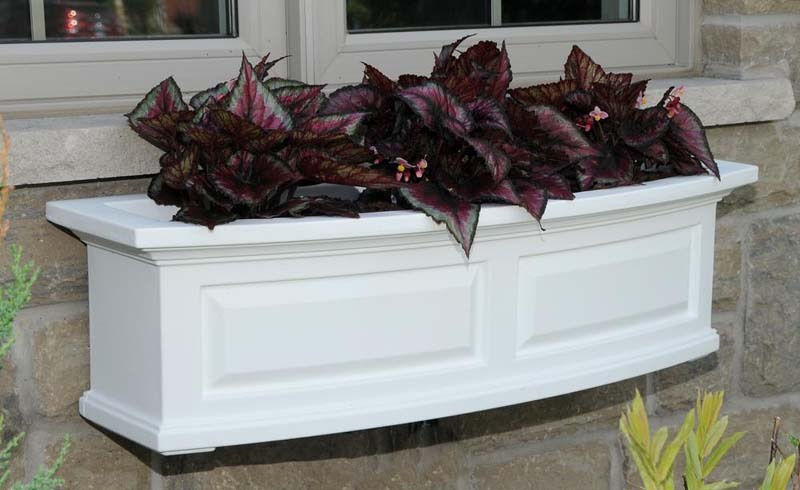 Vertical innovation makes a window box look great without a window. 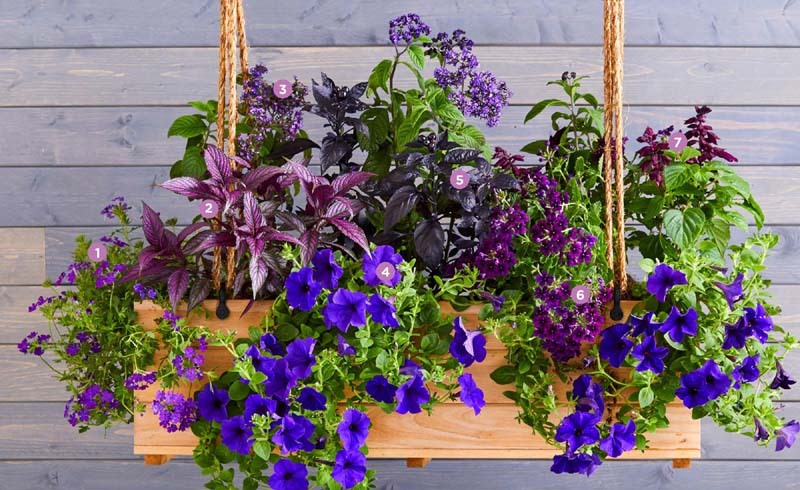 Add hooks and jute rope to a teak planter from Wayfair, then fill with these sun-loving purple bloomers and hang where they will get plenty of rays. 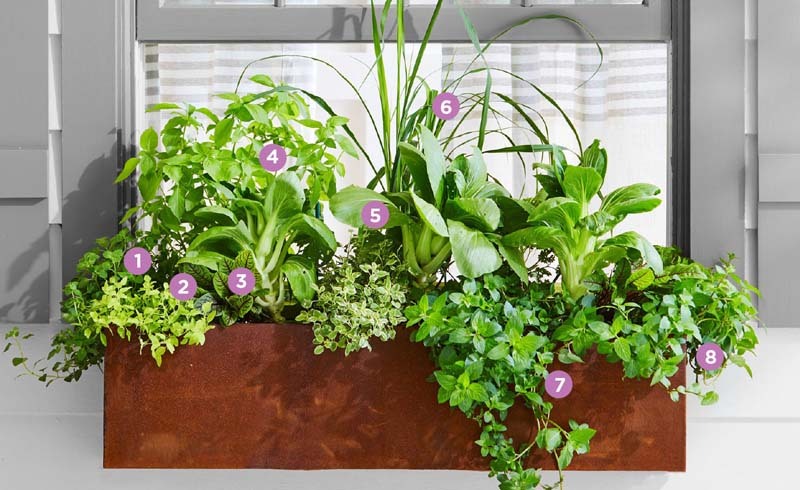 Grow fresh herbs and greens right outside your kitchen. This corten steel box from AllModern takes on a coppery patina as it weathers. Mind the gap When you hang a window box, don’t mount it supertight against the house. Use spacers to create a gap of an inch or two. This lets water and dirt escape, preventing mold and mildew and possible siding damage. • Pick boxes that flatter your home. Materials include fiberglass, plastic and rot-resisting woods like cedar. You can paint wood boxes to fit a color scheme. All boxes need drain holes. 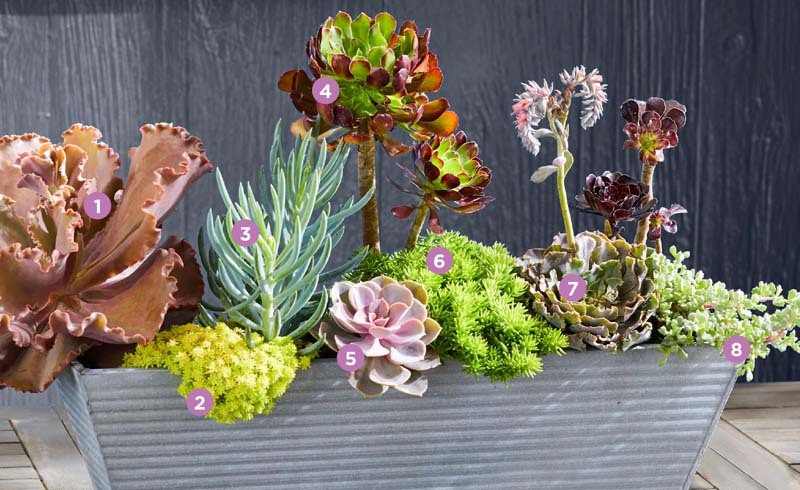 • Choose long-blooming annuals and plants with striking foliage. And simplify color schemes by choosing just one or two unifying hues. 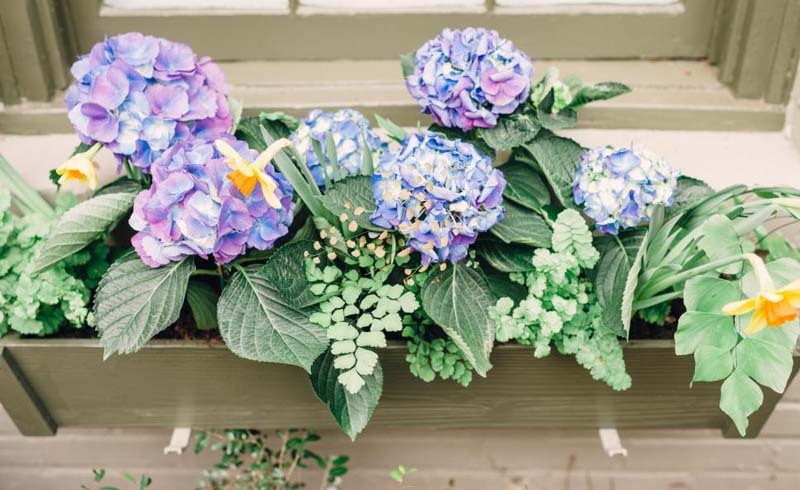 • Window boxes dry out really fast, especially in the sun. You may need to water daily. Self-watering boxes include reservoirs that let you water less often.